I used to be a caramel latte from Starbucks kinda gal. My coffee would be super sugary and milky to overcompensate for the fact it was made from bitter-tasting, mass-produced coffee beans. And then I met Mat. He used to make me espressos using a moka pot on the hob and I started to become more accepting of fresh coffee, with less milk, less sugar and absolutely no syrup. 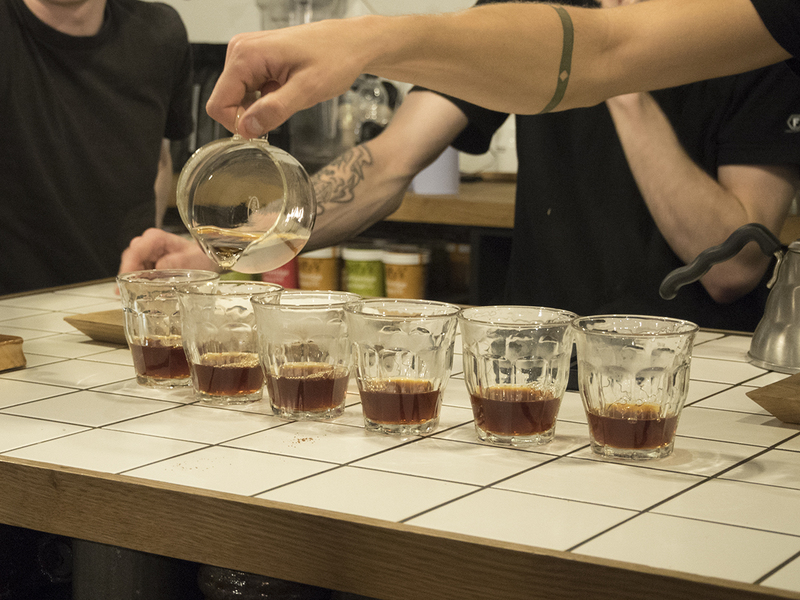 Once you start tasting your coffee more, you really do start to appreciate the way it’s brewed and the freshness and origin of your coffee beans. We upgraded that little moka pot to a swanky Sage by Heston Blumenthal Espresso Machine, set up a monthly coffee subscription and basically committed to being proper coffee snobs. 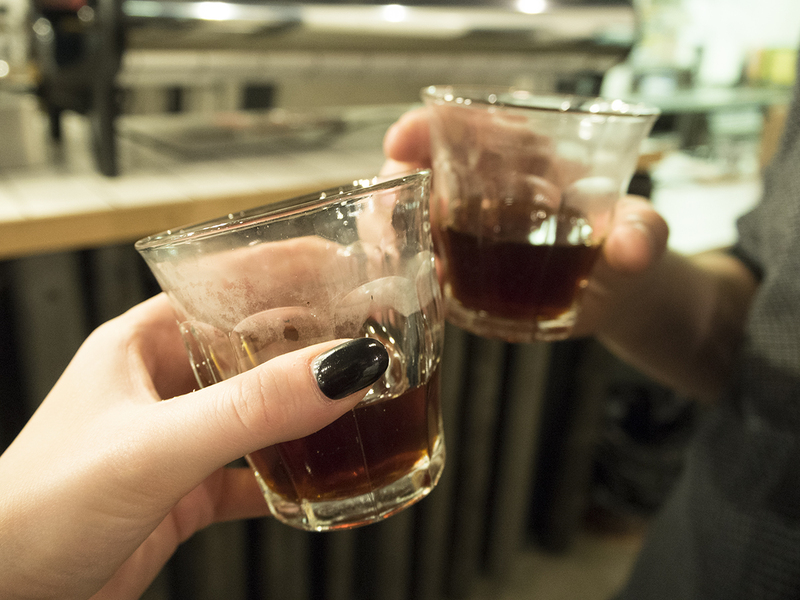 So when Thermos invited Mat & I down to Foundation Coffee House in Manchester to learn about the different brewing techniques they use, we practically spat out our flat whites in excitement. It was basically Mat’s ideal event! 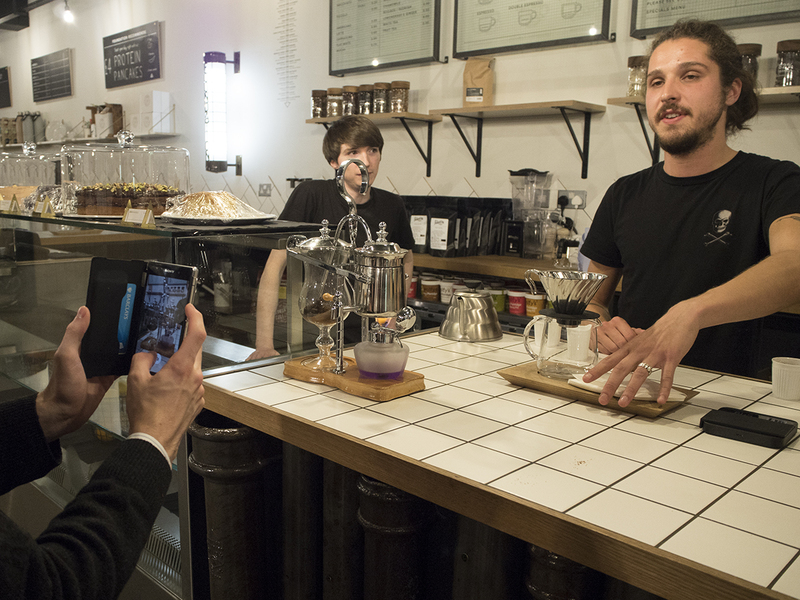 First up, the guys showed us the V60. Before you get started, you need to weight out and grind your whole beans on a medium-fine setting immediately before brewing. This is because if you leave the ground beans for too long, they lose some of their lovely aroma and flavour. 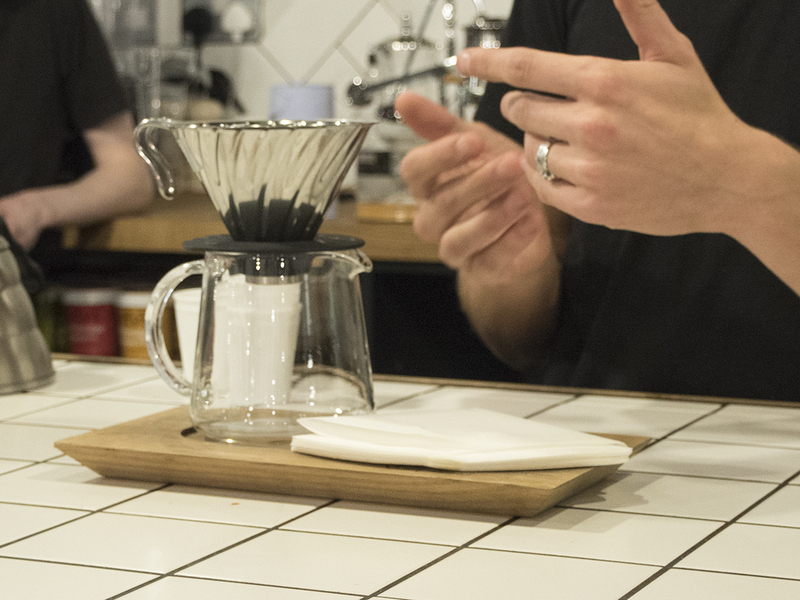 You pop the ground coffee into the dripper, using a filter paper as a barrier and pour the hot water over it. You can use a regular kettle to pour, but the guys recommended using a gooseneck kettle for the most control with how much water comes out and where it lands. There’s a really great guide (with detailed step-by-step instructions) here, that will help you perfect the V60 brewing technique. It’s one of the easiest ways to whip up some great tasting fresh coffee and definitely one that Mat & I will be trying out once we get our hands on the equipment (which is also very cheap!). 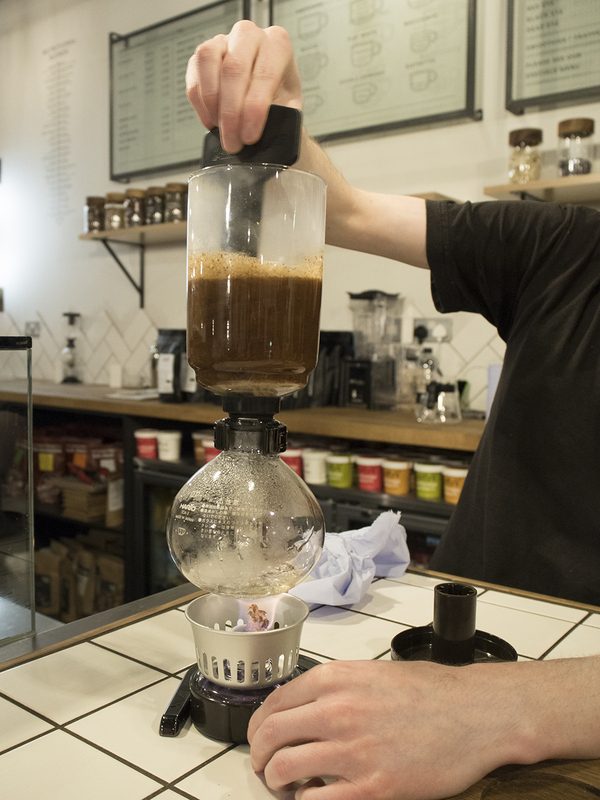 This method looks a little more like a science experiment than a coffee brewing technique, but the syphon is another great way of brewing your coffee. For this one, it’s best to grind your coffee beans on a medium-coarse setting. Again, right before brewing if you can, so no flavours or aromas are lost. 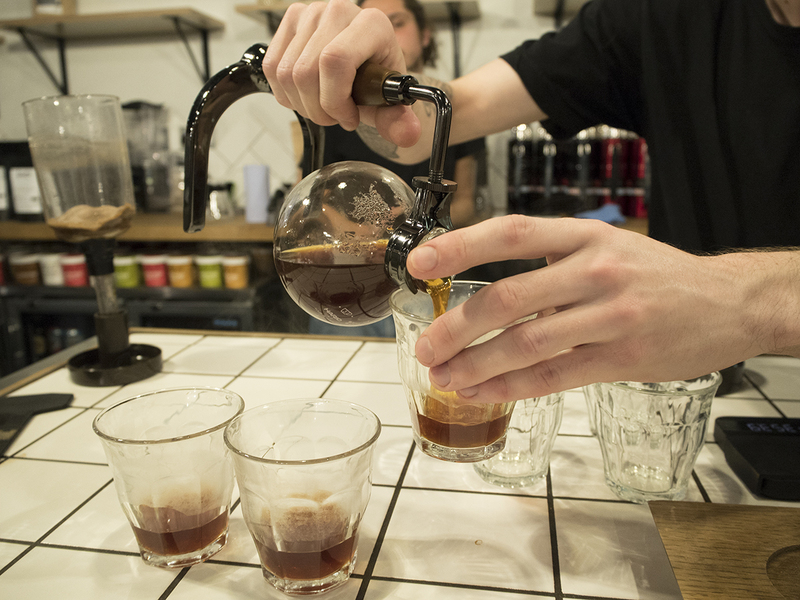 The syphon method was actually really fascinating to watch, as the coffee is drawn down to the bottom chamber. I couldn’t keep up with how it fully works, but there’s a step-by-step guide here that explains it much better than I could. We also sampled the coffee after each brewing method and we preferred the coffee that the V60 produced over the syphon methods. 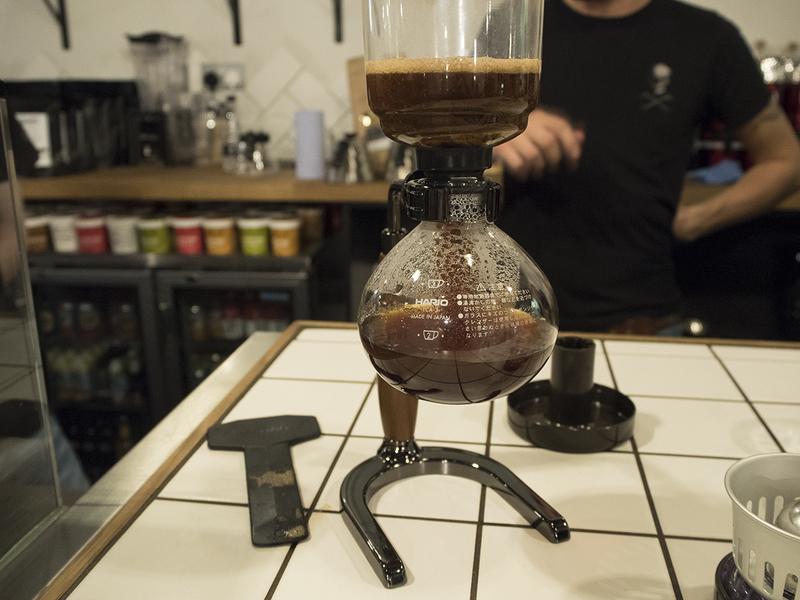 If you thought the syphon was a bit crazy looking, the balance syphon has even more of an eyecatching design. 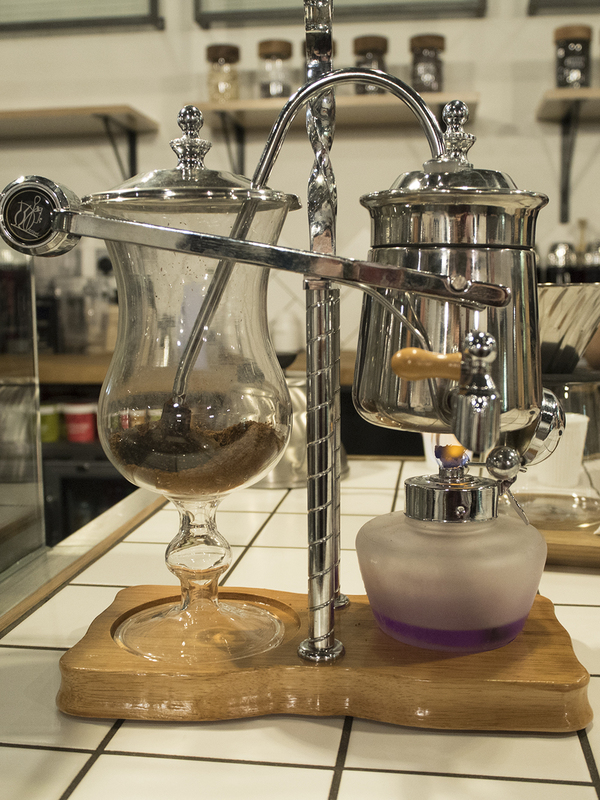 It works in the same way as the regular syphon, just with much more style. The downside of this method is that it takes a while longer to set up and brew than the others, but it’s definitely one to whip out at a dinner party to impress your friends. It would look dreamy as a piece of decoration in a kitchen too! 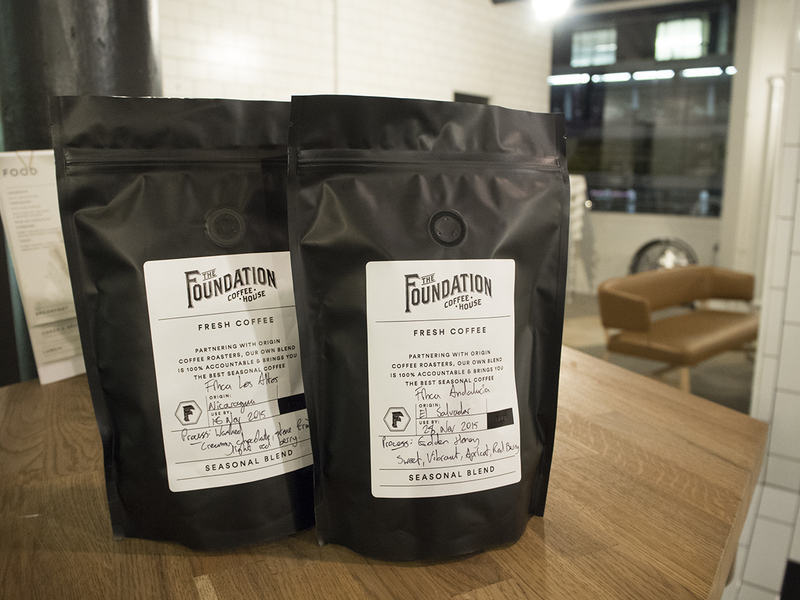 At the start of our coffee class we had sampled some lovely Foundation coffee from our Thermos flasks, which had been brewed and stored the same morning and was still nice and hot. The flasks promise to keep your hot drink (or soup!) hot or cold for 24 hours, so we could have a cup of coffee morning, noon and night… and then even the next morning! Mat sampled a cup from his flask the next morning and it was still warm enough to drink, amazing huh? You can pick up a flask for hot drinks for really cheap, but we were so impressed with the Genuine Thermos Brand flasks as they retain the heat and are completely leakproof. I’ve definitely had soup or coffee leak all over my bag from cheaper flasks before! 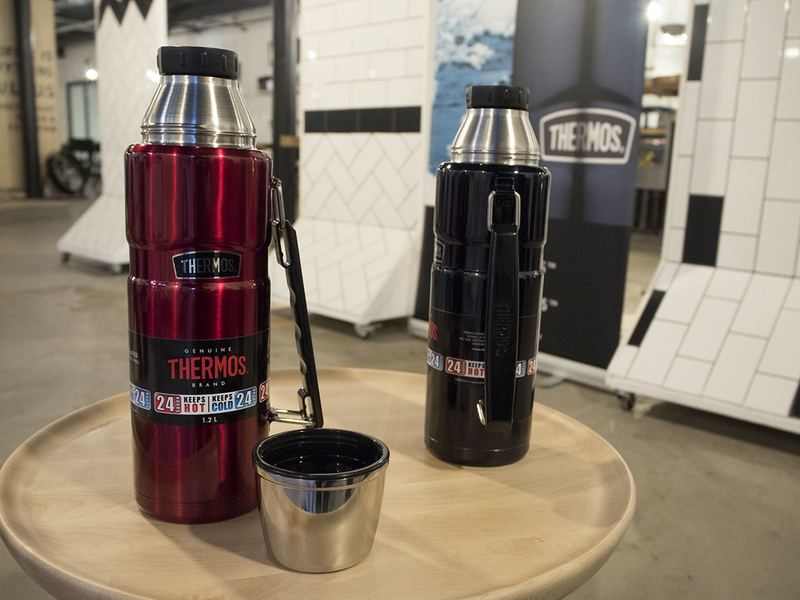 A big thanks to Thermos and Foundation Coffee for hosting such an interesting event, I’m very excited to brew up some fresh filter coffee in my new flask for my commute to work. 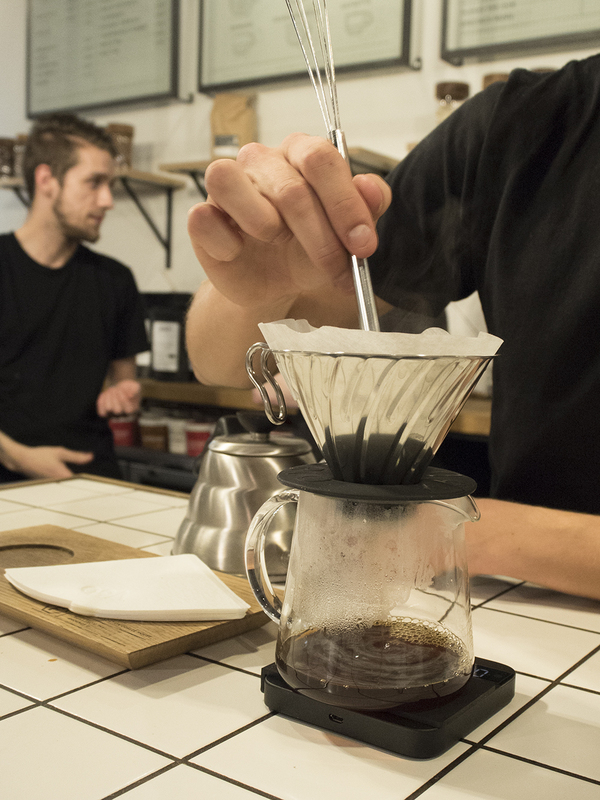 Do you brew your own coffee at home? I’d love to know what you use! Previous Post: « River Island MCR Relaunch + Giveaway!